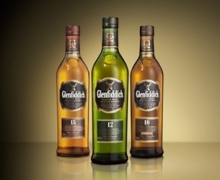 Glenfiddich won eight gold medals at the International Spirits Challenge. Now in its 18th year, the International Spirits Challenge ‘rewards quality and celebrates excellence’ in the world of whisky and received over 1,000 entries from 70 countries, with each whisky undergoing a blind taste test from the judging panel led by renowned whisky expert John Ramsay. Our 12 Year Old and 18 Year Old expressions both won gold medals, demonstrating the exceptional quality of our core range. Rare and new expressions such as our luxury and limited edition Glenfiddich Ultimate 38 Year Old also won gold. At the Scotch Whisky Masters competition we are the proud recipients of a further eight gold medals. Our 15 Year Old, our Glenfiddich Ultimate, and our 125th Anniversary Edition all won highly coveted Masters awards in recognition of outstanding whisky making. Brian Kinsman, our Malt Master, felt this was a particularly important milestone, coming during our 125th year anniversary. He said: "These awards are tribute to the lengths we go to at Glenfiddich to make truly exquisite whisky. Our founder, William Grant, would be honoured to see his vision being fulfilled." 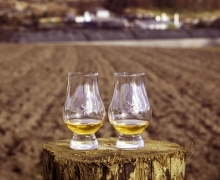 William Grant set out to make "the best dram in the valley". Today, his legacy lives on.